Be the first to share your favorite memory, photo or story of Cecilia. This memorial page is dedicated for family, friends and future generations to celebrate the life of their loved one. 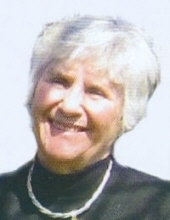 Cecilia “Ceci” Strempel, 76, of Camillus, passed away Wednesday, March 20, 2019. A lifetime resident of Syracuse, she earned her associate degree from Auburn Community College. Cecilia was part-owner of Strempel's Locksmith for over 20 years and later worked at Marshalls for several years. Cecilia was a wonderful caregiver, tremendous friend and derived a great deal of joy from her family. She dealt with difficult circumstances in life with grace and compassion. Ceci loved to walk on the beach and enjoyed many happy times at the family cottage on Sandy Pond. She was a voracious reader and thoroughly enjoyed crossword puzzles. Cecilia was predeceased by her son, Michael, in 2009. Surviving are her husband of 58 years, Patrick; daughters, Patricia and Julie; son, Kenneth; and grandchildren, Brian Strempel, Ruben and Lilli Purdy and Liam Frank. Relatives and friends may call Sunday, March 24 from 1 to 3 p.m. at the Buranich Funeral Home, 5431 W. Genesee St., Camillus. A funeral Mass will be celebrated Monday, March 25 at 10:30 a.m. in St. Joseph's Church, 5600 West Genesee St., Camillus. Cecilia will be laid to rest in Greenlawn Cemetery, Warners. In lieu of flowers, contributions may be made to Francis House, 108 Michaels Ave., Syracuse, NY 13208. To send flowers or a remembrance gift to the family of Cecilia "Ceci" Strempel, please visit our Tribute Store. "Email Address" would like to share the life celebration of Cecilia "Ceci" Strempel. Click on the "link" to go to share a favorite memory or leave a condolence message for the family.